It's Time For Wardrobe Refresh! Earn Extra Points Everytime You Shop! It’s time to update your wardrobe! 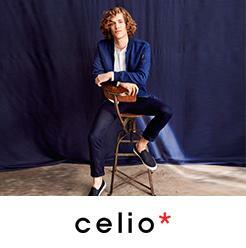 Shop from your favourite brands and earn additional first citizen reward points. Check out all brands below. The First Citizen Wardrobe Refresh extra points offer is valid till midnight of 6th October 2018. Click Here to check out the updated Wardrobe Refresh offer and t&c. 1. Shop 612 League Products Worth Rs. 2495 and Earn 400 points. 1. Shop Abercrombie & Fitch Products Worth Rs. 5000 and Earn 300 points. 1. Shop Adidas Products Worth Rs. 5000 and Earn 300 points. 1. Shop Aeropostale Products Worth Rs. 3000 and Earn 500 points. 2. Shop Aeropostale Products Worth Rs. 5000 and Earn 1000 points. 1. Shop Alcis Products Worth Rs. 1500 and Earn 150 points. 1. Shop Allen solly Products Worth Rs. 3999 and Earn 500 points. 2. Shop Allen solly Products Worth Rs. 6999 and Earn 1000 points. 3. Shop Allen Solly Products Worth Rs. 4999 and Earn 500 points. 4. Shop Allen Solly Products Worth Rs. 7499 and Earn 1000 points. 5. Shop Allen Solly Products Worth Rs. 4999 and Earn 500 points. 6. Shop Allen Solly Products Worth Rs. 7499 and Earn 1000 points. 7. Shop Allen solly Products Worth Rs. 4999 and Earn 500 points. 8. Shop Allen solly Products Worth Rs. 7499 and Earn 1000 points. 1. Shop Amante Products Worth Rs. 3000 and Earn 300 points. 2. Shop Amante Products Worth Rs. 4000 and Earn 800 points. 1. Shop Antonio Banderas Products Worth Rs. 5000 and Earn 300 points. 1. Shop Arrow Products Worth Rs. 3000 and Earn 500 points. 2. Shop Arrow Products Worth Rs. 5000 and Earn 1000 points. 1. Shop Arrow Nyc Products Worth Rs. 3000 and Earn 500 points. 2. Shop Arrow Nyc Products Worth Rs. 5000 and Earn 1000 points. 1. Shop Arrow Sport Products Worth Rs. 3000 and Earn 500 points. 2. Shop Arrow Sport Products Worth Rs. 5000 and Earn 1000 points. 1. Shop Aurelia Products Worth Rs. 3000 and Earn 300 points. 2. Shop Aurelia Products Worth Rs. 5000 and Earn 500 points. 1. Shop Ayesha Products Worth Rs. 1500 and Earn 200 points. 1. Shop Azzaro Products Worth Rs. 5000 and Earn 300 points. 1. 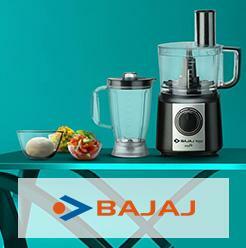 Shop Baggit Products Worth Rs. 2999 and Earn 300 points. 1. Shop Biba Products Worth Rs. 5000 and Earn 400 points. 1. Shop Black Panther Products Worth Rs. 1500 and Earn 200 points. 1. Shop Burberry Products Worth Rs. 5000 and Earn 300 points. 1. Shop Bwitch Products Worth Rs. 1500 and Earn 250 points. 2. Shop Bwitch Products Worth Rs. 2000 and Earn 400 points. 1. Shop Cartier Products Worth Rs. 5000 and Earn 300 points. 1. Shop Catwalk Products Worth Rs. 3500 and Earn 500 points. 2. Shop Catwalk Products Worth Rs. 4500 and Earn 750 points. 3. Shop Catwalk Products Worth Rs. 5500 and Earn 950 points. 4. Shop Catwalk Products Worth Rs. 6500 and Earn 1150 points. 5. Shop Catwalk Products Worth Rs. 7500 and Earn 1350 points. 6. Shop Catwalk Products Worth Rs. 8500 and Earn 1550 points. 1. Shop Chambor Products Worth Rs. 5000 and Earn 300 points. 1. 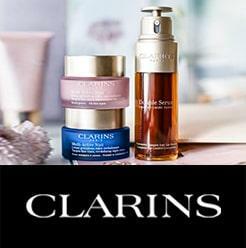 Shop Clarins Products Worth Rs. 5000 and Earn 300 points. 1. Shop Clinique Products Worth Rs. 3000 and Earn 600 points. 1. Shop Coach Products Worth Rs. 5000 and Earn 300 points. 1. Shop Daniel Wellington Products Worth Rs. 5000 and Earn 100 points. 1. Shop Diesel Products Worth Rs. 5000 and Earn 300 points. 1. Shop Disney Products Worth Rs. 1299 and Earn 250 points. 1. Shop Dunhill Products Worth Rs. 5000 and Earn 300 points. 1. Shop Ed Hardy Products Worth Rs. 3499 and Earn 350 points. 1. Shop Elie Saab Products Worth Rs. 5000 and Earn 300 points. 1. Shop Elizabeth Arden Products Worth Rs. 5000 and Earn 300 points. 2. Shop Elizabeth Arden Products Worth Rs. 5000 and Earn 300 points. 1. Shop Elle Products Worth Rs. 2999 and Earn 250 points. 1. Shop Enamor Products Worth Rs. 3500 and Earn 350 points. 1. Shop Escada Products Worth Rs. 5000 and Earn 300 points. 1. 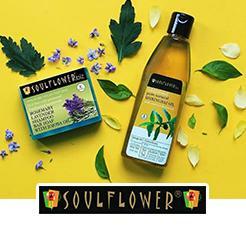 Shop Evaflor Products Worth Rs. 5000 and Earn 300 points. 1. Shop Fcuk Products Worth Rs. 3000 and Earn 500 points. 1. Shop FECA Products Worth Rs. 2500 and Earn 300 points. 2. Shop FECA Products Worth Rs. 4500 and Earn 600 points. 1. Shop Ferrari Products Worth Rs. 5000 and Earn 300 points. 1. Shop Fila Products Worth Rs. 2500 and Earn 100 points. 1. Shop Flying Machine Products Worth Rs. 3499 and Earn 350 points. 2. Shop Flying machine Products Worth Rs. 2999 and Earn 500 points. 1. Shop Franco Leone Products Worth Rs. 3500 and Earn 500 points. 1. Shop Giorgio Armani Products Worth Rs. 5000 and Earn 300 points. 1. Shop Gucci Products Worth Rs. 5000 and Earn 300 points. 1. Shop Guy Laroche Products Worth Rs. 5000 and Earn 300 points. 1. Shop Haute Curry Products Worth Rs. 700 and Earn 100 points. 1. Shop Hugo Boss Products Worth Rs. 5000 and Earn 300 points. 1. Shop Imara Products Worth Rs. 5000 and Earn 500 points. 1. Shop Iris Products Worth Rs. 1500 and Earn 150 points. 1. Shop Issey Miyake Products Worth Rs. 5000 and Earn 300 points. 1. Shop Ivy Products Worth Rs. 3000 and Earn 500 points. 1. Shop Izod Products Worth Rs. 3000 and Earn 500 points. 2. Shop Izod Products Worth Rs. 5000 and Earn 1000 points. 1. Shop James Bond Products Worth Rs. 5000 and Earn 300 points. 1. Shop Jean Paul Gaultier Products Worth Rs. 5000 and Earn 300 points. 1. Shop Jimmy Choo Products Worth Rs. 5000 and Earn 300 points. 1. Shop John Varvatos Products Worth Rs. 5000 and Earn 300 points. 1. Shop Jovan Musk Products Worth Rs. 5000 and Earn 300 points. 1. Shop Juicy Couture Products Worth Rs. 5000 and Earn 300 points. 1. Shop Karl Lagerfeld Products Worth Rs. 5000 and Earn 300 points. 1. Shop Kenzo Products Worth Rs. 5000 and Earn 300 points. 1. 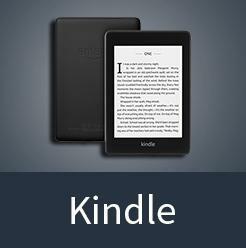 Shop Killer Products Worth Rs. 3000 and Earn 250 points. 1. Shop Kraus Products Worth Rs. 4999 and Earn 150 points. 1. Shop Lacoste Products Worth Rs. 5000 and Earn 300 points. 1. Shop Lanvin Products Worth Rs. 5000 and Earn 300 points. 1. Shop Lavie Products Worth Rs. 3000 and Earn 200 points. 2. Shop Lavie Products Worth Rs. 4000 and Earn 300 points. 1. Shop Lemon & Pepper Products Worth Rs. 2499 and Earn 200 points. 2. Shop Lemon & Pepper Products Worth Rs. 3499 and Earn 300 points. 3. Shop Lemon & Pepper Products Worth Rs. 4499 and Earn 400 points. 1. Shop Life Products Worth Rs. 700 and Earn 100 points. 1. Shop Louis Philippe Products Worth Rs. 5000 and Earn 500 points. 2. 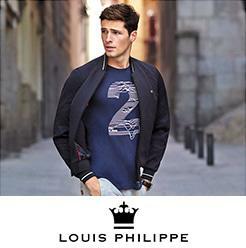 Shop Louis Philippe Products Worth Rs. 10000 and Earn 1000 points. 1. Shop Lovable Products Worth Rs. 500 and Earn 50 points. 2. Shop Lovable Products Worth Rs. 1500 and Earn 100 points. 3. Shop Lovable Products Worth Rs. 2000 and Earn 150 points. 4. Shop Lovable Products Worth Rs. 2500 and Earn 175 points. 5. Shop Lovable Products Worth Rs. 3000 and Earn 200 points. 1. Shop Mineral Products Worth Rs. 2000 and Earn 200 points. 2. Shop Mineral Products Worth Rs. 3000 and Earn 300 points. 1. Shop Missoni Products Worth Rs. 5000 and Earn 300 points. 1. Shop Moschino Products Worth Rs. 5000 and Earn 300 points. 1. Shop Mother care Products Worth Rs. 2500 and Earn 300 points. 1. 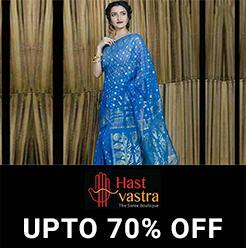 Shop Mstaken Products Worth Rs. 3500 and Earn 350 points. 1. Shop Mufti Products Worth Rs. 3599 and Earn 1000 points. 1. Shop Nachtmann Products Worth Rs. 2500 and Earn 500 points. 1. Shop Narciso Rodriguez Products Worth Rs. 5000 and Earn 300 points. 1. Shop Natilene Products Worth Rs. 2999 and Earn 300 points. 1. Shop Nauti Nati Products Worth Rs. 2999 and Earn 300 points. 1. Shop Nina Ricci Products Worth Rs. 5000 and Earn 300 points. 1. Shop Nush Products Worth Rs. 2499 and Earn 200 points. 1. 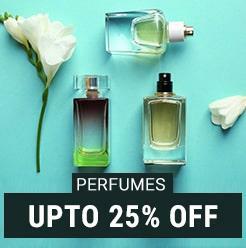 Shop Paco Rabanne Products Worth Rs. 5000 and Earn 300 points. 1. Shop Pepper mint Products Worth Rs. 2500 and Earn 350 points. 1. Shop Peter England Products Worth Rs. 3999 and Earn 250 points. 1. Shop Pretty Secrets Products Worth Rs. 500 and Earn 50 points. 2. Shop Pretty Secrets Products Worth Rs. 1000 and Earn 150 points. 3. Shop Pretty Secrets Products Worth Rs. 1500 and Earn 200 points. 4. Shop Pretty Secrets Products Worth Rs. 2000 and Earn 300 points. 5. Shop Pretty Secrets Products Worth Rs. 3000 and Earn 400 points. 1. Shop Puma Products Worth Rs. 3500 and Earn 350 points. 1. Shop Rimmel Products Worth Rs. 5000 and Earn 300 points. 1. Shop Rosemoore Products Worth Rs. 2000 and Earn 200 points. 1. Shop Ruff Products Worth Rs. 2500 and Earn 250 points. 1. Buy any Ruosh Footwear and Earn 700 points. 1. Shop Sally Hansen Products Worth Rs. 5000 and Earn 300 points. 1. Shop Shiseido Products Worth Rs. 5000 and Earn 300 points. 1. Shop Skechers Products Worth Rs. 4999 and Earn 500 points. 1. Shop Soie Products Worth Rs. 1000 and Earn 200 points. 1. Shop Spaces Products Worth Rs. 3000 and Earn 500 points. 1. Shop Steve Madden Products Worth Rs. 3000 and Earn 200 points. 1. Shop SWAYAM Products Worth Rs. 5000 and Earn 500 points. 1. Shop Sweet Dreams Products Worth Rs. 2499 and Earn 250 points. 1. Shop Tatvayog Products Worth Rs. 1500 and Earn 250 points. 1. Shop Thiery Mugler Products Worth Rs. 5000 and Earn 300 points. 1. Shop Tiny Girl Products Worth Rs. 2500 and Earn 350 points. 1. Shop True Blue Products Worth Rs. 3499 and Earn 350 points. 1. Shop Trussardi Products Worth Rs. 5000 and Earn 300 points. 1. Shop Versace Products Worth Rs. 5000 and Earn 300 points. 1. 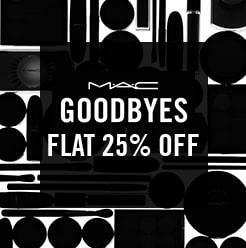 Shop W Products Worth Rs. 3000 and Earn 300 points. 2. Shop W Products Worth Rs. 5000 and Earn 500 points. 1. Shop Yves Rocher Products Worth Rs. 5000 and Earn 300 points. 1. Shop Alaia Products Worth Rs. 5000 and Earn 300 points. 1. Shop Estelle Products Worth Rs. 1500 and Earn 100 points. 1. Shop FCB Products Worth Rs. 1500 and Earn 150 points. 1. Shop Gap Products Worth Rs. 5000 and Earn 300 points. 1. 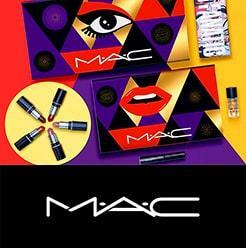 Shop Max Factor Products Worth Rs. 5000 and Earn 300 points. 1. 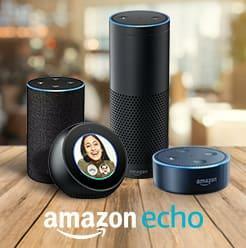 Shop Mini Club Products Worth Rs. 2500 and Earn 350 points. 1. Shop Mont Blanc Products Worth Rs. 5000 and Earn 300 points. 1. Shop Obsessions Products Worth Rs. 3000 and Earn 300 points. 2. Shop Obsessions Products Worth Rs. 7000 and Earn 800 points. 3. Shop Obsessions Products Worth Rs. 15000 and Earn 2000 points. 1. Shop Opi Products Worth Rs. 5000 and Earn 300 points. 1. Shop Prada Products Worth Rs. 5000 and Earn 300 points. 1. Shop Swarovski Products Worth Rs. 5000 and Earn 300 points. 1. Shop Valentino Products Worth Rs. 5000 and Earn 300 points. 1. Shop Wrogn Products Worth Rs. 5000 and Earn 500 points. Is your favourite brand not a part of this list? Shop from non-participating brands and earn regular reward points. 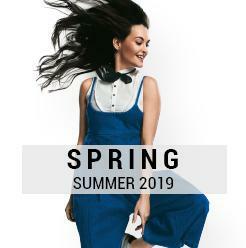 The Wardrobe Refresh (scheme) is valid for all FIRST CITIZENS of Shoppers Stop, at all stores of Shoppers Stop & HomeStop (excluding stores in Kolkata, Durgapur, Siliguri & Ranchi) and on www.shoppersstop.com and mobile app. Customers who are not First Citizens can avail of the offer by enrolling into the membership program to become a First Citizen of Shoppers Stop. 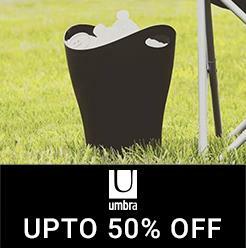 The offers under the Scheme are valid on select brands and may vary from store to store. Please check for brand and offer availability at the store. Offer valid on purchases made in a single bill from the said brand/brands (during the offer period) and against a valid First Citizen membership card only. Post completion of offer period eligible First Citizens will receive point’s credit as per the brand offer (redeemable across brand). Points credit will be done on 25th October 2018 and will be valid for redemption till 31st March 2019. Points not redeemed shall be lapsed and will not be reinstated under any circumstances. No two schemes/offers can be clubbed. 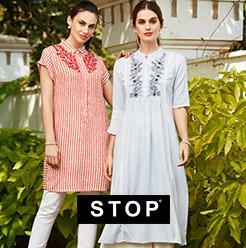 Shoppers Stop Ltd. reserves the right to alter/withdraw the offers at any point of time. 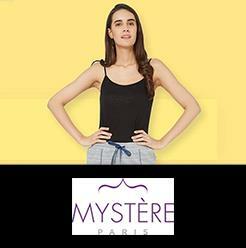 Standard terms and conditions pertaining to Shoppers Stop promotions and the First Citizen program will apply.